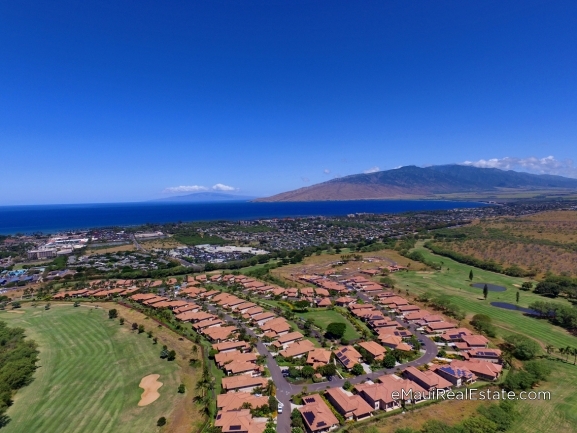 Lahaina at #1 and Kihei at #8 were both ranked in the top 10 for the best towns located by the ocean. WalletHub’s criteria composed of 205 cities across the United States and measure 58 key performance indicators of stand of living which included things like: housing costs, median annual property taxes, share of for-sale waterfront homes, weather, number of disasters and flood risk level. It also took into consideration family oriented measures like lifeguards per capita and the quality of the public school system. The list was split into two sections — towns located by the ocean and towns by lakes. Other Hawaii beach towns that made the list are Kailua at #77, Kapolei at #82, and Hilo at #153. As South Maui’s best beach town, Kihei is caters to the beach lifestyle with plenty of sandy beaches for lounging around and long strolls on the beach. It also home to the longest stretch of beach on Maui and can be found at the Sugar Beach Resort. Sitting on the southwestern shore of Maui, it is sometimes described as Maui’s desert because this area is by far the sunniest and driest on the island. The crystal-clear views and pearl blue waters are the reason so many are drawn to his part of Maui. The Sayles Team is ready to show you why Kihei charms everyone that comes near it. Ono grinds at Cafe O’lei: The Kihei location on the South Side has recently become my first choice lunch spot IF their special for the day is still available. I always call in to make sure that they’re still serving it. Sitting on the western coast of Maui, Lahaina can be only be accessed via two lane highway that directly borders the ocean and is easily one of the most scenic drives on the island besides the Road to Hana. During the winter months, traffic backs up as many try and catch any glimpse of the whales. Lahaina’s roots in Hawaii history go as far back as the late 1700’s and was actually preferred by King Kamehameha III where he established a royal palace. Not many know that Lahaina was actually the capital of the Kingdom of Hawaii from 1820-1845. To call Lahaina a “hotspot” would be a gross understatement. This is the second most visited area on the entire island of Maui behind only the beaches themselves. As more and more visitors fall in love and become home buyers, the community thrives more and more. Over 18,000 residents now call Lahaina home and enjoy every bit of its fine dining, shopping, and entertainment.